Attention USC Students! 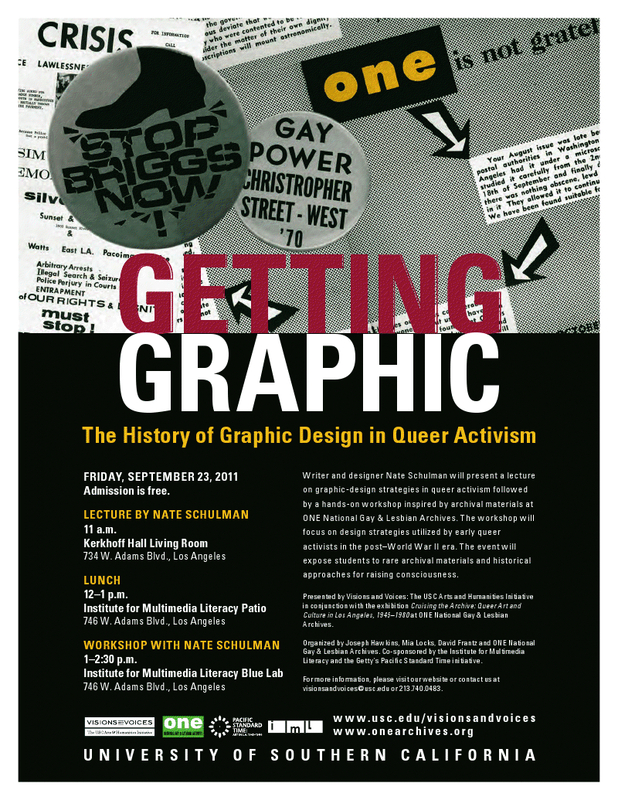 Please join ONE Archives for this exciting lecture and workshop on the history of queer activism and graphic design by Nate Schulman. No experience in graphic design necessary. Admission is free. This event is presented by Visions and Voices: The USC Arts & Humanities Initiative and co-sponsored by the Institute for Multimedia Literacy.